This month, I'm turning my slot over to my critique partner historical novelist, Cynthia Roemer. Most likely the term “cowboy” dredges up images of John Wayne with his rough and ready swagger and his knack for blasting his way out of tough situations. Or perhaps it’s the glamor and romance of the singing cowboys, Roy Rogers or Gene Autry that you recall. Through the magic of modern media, cowboys have become larger than life, able to fight their way out of any battle to win their lady’s heart. But, while this Hollywood depiction of cowboys makes for fascinating stories, one has to wonder how much is truth and how much is legend? 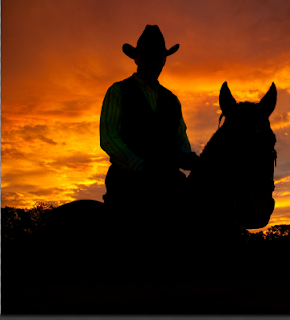 The first cowboys were Mexicans known as vaqueros, the Spanish word for “cow”. These men were usually young and unmarried, and in need of money. Skilled with a rope, as well as in the saddle, these young men worked hard to herd cattle and train horses for well-to-do ranchers. By the 1700’s, these ranches had spread northward into what is now Texas, New Mexico, and Arizona. Cowboys were instrumental in the Western expansion. Being a cowboy was anything but glamorous. They often put in fifteen-hour days, much of the time in the saddle, herding cattle, rounding up strays, or breaking in horses. Pay was minimal, typically $25-$40 a month. They had the reputation of being rowdy and often spent their earnings a quickly as they made them. 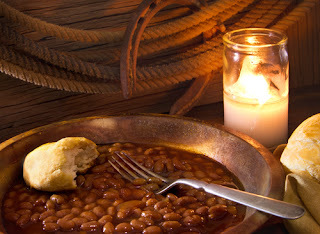 On a cattle drive, their diet consisted of bacon, beans, beef jerky, canned peaches…beans and more beans! 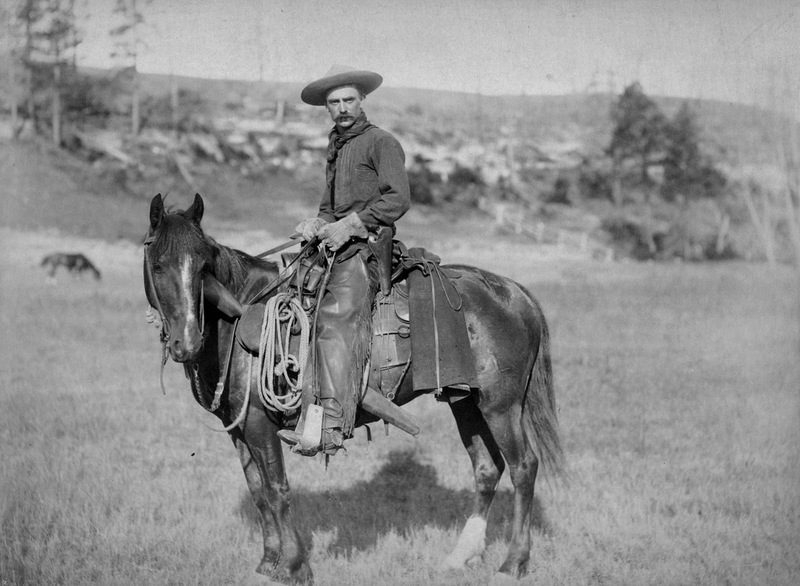 Cowboys were generally small-framed men, not the burly sort portrayed in movies. But they had to be tough, able to endure many grueling days on the trail. Within a few weeks, a dozen cattlemen could herd thousands of head of cattle hundreds of miles. 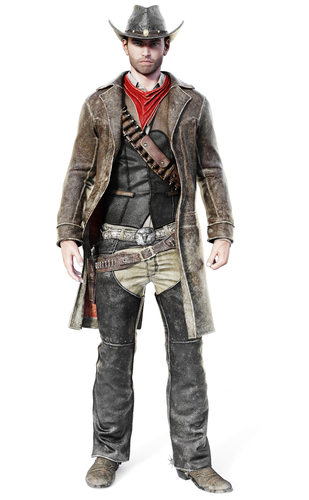 Cowboys generally wore clothing to suit their rough conditions: heeled boots, spurs, durable shirts and pants, bandanas, and leather chaps to protect their legs. Their large broad-brimmed hats were helpful in shading them from the sun’s heat. Some of the larger hats, often referred to as 10-gallon hats for their large size, came in handy for toting water for themselves and their horses. By the mid-1800’s, the coming of the railroad brought new marketing opportunities for cattleman. Cowboys could now round up their herds and ship them by rail from one end of the country to the other. Branding was used to distinguish one cattleman’s herd from another. Winters were hard on the toughest cowboys. Following the Civil War, things began to change for cowboys. The fragmented nation began to expand further west, many claiming private land and erecting fences. 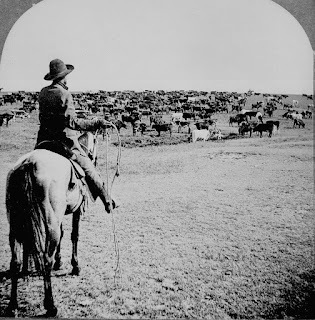 The range wars between farmers and ranchers made herding cattle more of a challenge. But the most devastating blow to the cattleman came in the winter of 1886-87 when a period of sub-zero temperatures blanketed the west, killing thousands of cattle. Some view this as the beginning of the end for the cowboy era. The cowboy story will forever be an indelible part of the rich history of the United States. Perhaps that’s one of the reasons I chose a cattleman as the hero of my new novel. There’s something nostalgic about the life of a cowboy. The facts shed truth of the cowboys’ rough and rugged lifestyle. 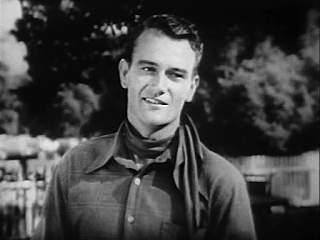 Ah, but the legends of the Silver Screen paint a picture of cowboys that leave us with a sense of wonder and romance we’ll forever delight in! 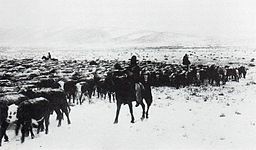 Winter herding picture: Russell Friedman, Cowboys of the Wild, Go Show; Wikepedia source. Cynthia Roemer was raised in the cornfields of rural Illinois, She enjoys spinning tales set in the backdrop of the 1800s prairie. She writes from her family farm in central Illinois where she resides with her husband and their two college-aged sons. Her debut novel, Under This Same Sky released with Mantle Rock Publishing in April, 2017. Book 2 in her Prairie Sky Series, Under Prairie Skies just recently released April 10, 2018. Thanks, Connie! I'm thrilled to be asked by Pam to guest post. It was fun! Hi Martha! I'm so glad you enjoyed my post. I love the cowboy era as well! Thanks for your comment. Blessings! 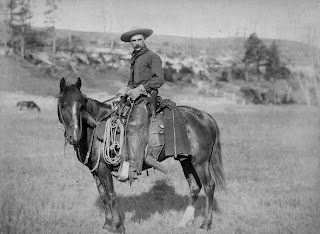 The west, cattle drives and horses always bring cowboys to mind. It's part of our great heritage. Thank you for sharing. It was my privilege, Marilyn! Thanks for stopping by! Great post Cynthia! I love cowboys and reading stories about them. LOL! Just now seeing this, Tina. Thanks for stopping by and commenting. It's great to meet you!